We believe this top 10 will provide you with a lot of useful information and give you enough options to choose from while visiting other countries. 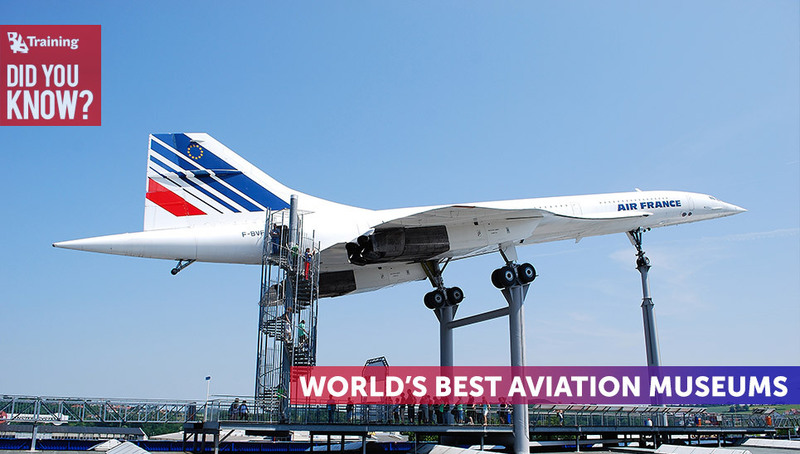 If you love aviation just like we do, you should visit at least one of these spectacular museums in your lifetime! The Smithsonian’s National Air and Space Museum is the world’s largest museum of aviation and space artifacts located in Washington D.C. This museum offers exhibitions on aviation and space exploration, covers the history of human flight, and illustrates it with art and archival materials. Visitors have an opportunity to familiarize with many different aircraft, technology, learn about innovation history, and feel the courageous and optimistic American aviation spirit. Each year museum attains approximately eight million visitors and it makes it one of the most visited museums’ in the world. It is one of the most spectacular museums based in Ottawa, capital of Canada, where you can spend some time getting textual and visual information. Aviation and Space museum presents three different collections: early aircraft manufacturers in Canada, military aircraft from the First World War, and the Royal Canadian Air Forces (FCAF). 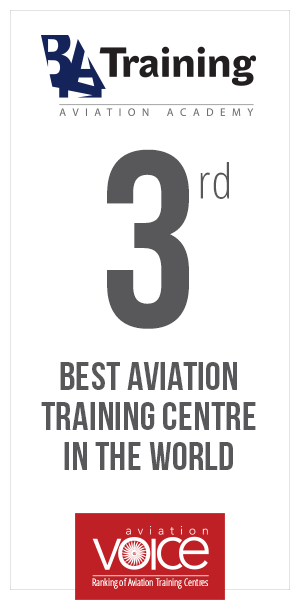 It is a great place for tours, workshops for kids and birthday parties in airspace environment. Museum has an international reputation and is known as the most expansive aviation collections museum. This aviation museum is located in Kansas, Midwestern United States. The museum houses a world-class collection of historic, significant and one-of-a-kind aircraft and aircraft engines. A huge archive with thousands of records, schematics, books, photos and more, and a wide range of additional aviation memorabilia. It also is home to the Kansas Aviation Hall of Fame – an impressive line-up of aviation heavyweights by any measure: state, national or worldwide. And its grand art-deco style attracts both – the aviation community and anyone interested in historical preservation. The Pima Air & Space Museum, located in Tucson Arizona, is one of the largest aviation Museums in the world. The Museum maintains a collection of more than 300 aircraft and spacecraft from around the globe, and more than 125,000 artifacts. On the display you can also find President John F. Kennedy’s Air Force One, and presidential aircraft used by presidents Nixon and Johnson and see them up close because there no barriers around the entire collection. The coolest part is boneyard with over 4,400 aircrafts on over 2,600 acres just sitting around waiting to be viewed by you. The aviation center enables you to see tours of the nearby Boeing plant, located in Seattle, WA. A 90-minute guided exploration takes place in what is said to be the largest building in the world (by volume), and that is where Boeing 747s, 767s, 777s and 787s are built. Visitors can see airplanes in various stages of production and flight tests performed prior to the planes being delivered to the customers around the world. Aviation Center and Boeing Tour is accessible for visitors two times per day. National Museum of the United States Air Force is the oldest and largest military aviation museum in the world. It conserves and presents the Air Force’s history, heritage and traditions, as well as today’s mission to fly, fight and win. Visitors are presented with engaging exhibits, educational outreach, special programs, and the stewardship of the national historic collection. Museum is based in Ohio, Midwestern United States. Founded in 1982, The Intrepid Sea, Air & Space Museum in New York, is the only museum where visitors can see and gain knowledge about legendary aircraft carrier, the first space shuttle, the world’s fastest jets, and a Cold War-era submarine. Welcoming more than one million visitors a year, the Museum is using history and technology to inspire and advance innovation by developing the next generation of leaders in science, technology, engineering, and math. Intrepid clearly fulfills its own-stated mission to honor the heroes, educate the public, and inspire the youth. Paris Air and Space museum is located at Le Bourget Airport. Le Bourget is the oldest airport in France where on May 27th of 1927, Charles Lindbergh landed his airplane “The Spirit of Saint Louis”, completing his transatlantic flight of 33 hours journey. 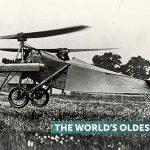 This significant and important event for France and its people is presented in the museum along with the oldest flying machine, 1879 Massia-Biot glider, and other artifacts that aviation admirers will find particularly interesting. Its double Concorde display is the only one in the world. This air and space Museum located in San Diego, California, is based on four word mission: preserve, inspire, educate, celebrate. Preserve – artifacts of air and space history and technology. Inspire – development of science, technology, engineering, and mathematics. Educate people who want to get knowledge in historical and social importance of airspace technology. Celebrate aviation and space flight history and technology. The Yorkshire Air Museum is the largest independent air museum at the Allied Air Forces Memorial, in Great Britain. Currently, museum/memorial hosts 15 top exhibitions and more than 60 historic aircraft and vehicles, shop, a large NAAFI style restaurant, cultivates award winning gardens. Other museum spaces are used for film viewings, book and other aviation related project presentations.